In case object has properties. 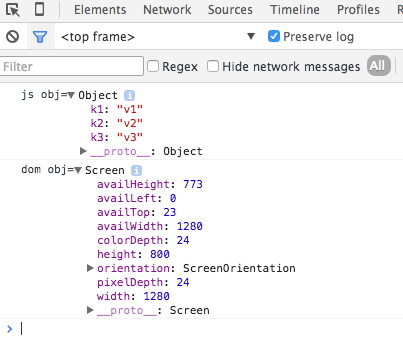 Note that console.log may not work in old IE browsers. So this should only be used in development/debugging environment.